Doug and Bill working around the funnel with the buff gloss paint. Mike down in the scuppers getting some primer applied with the gloss red in the foreground. With the reasonably dry weather we have been having over the past few days, volunteers on board have been able to make some good progress with painting on the out side of Freshspring. 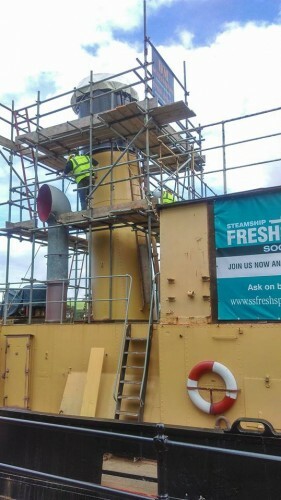 Up top, the funnel has had it's first coat of buff gloss. 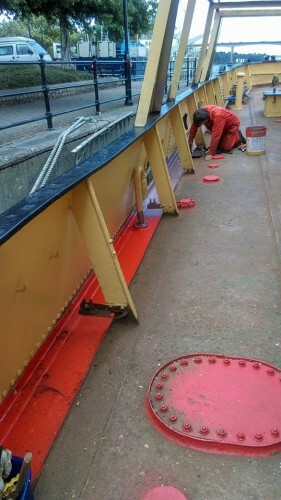 Meanwhile on deck, in the scuppers where water sometimes sits, is getting a quick coat of red paint to prevent rust. This is likely to be repainted in green when the rest of the deck is painted, but it does look rather fetching in red. 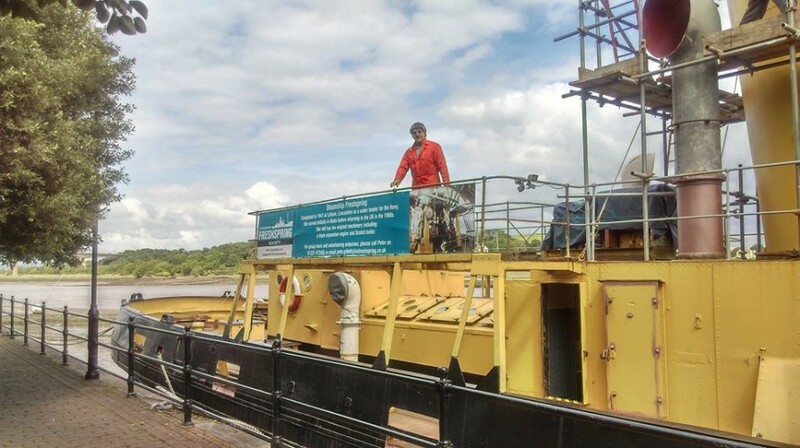 On the boat deck, a new banner has also been fitted, this gives a little more information about the ship to anyone passing by, based on some of the frequently asked questions we receive.